Born Lamont Coleman on the 30 May 1974, in Harlem, New York City USA, as Big L he was a rapper, songwriter and record producer, best known to the world for his debut studio album “Lifestyles ov da Poor & Dangerous” (1995), and his single “Ebonics” three years later. Big L passed away on the 15th February 1999 being killed by an unknown attacker in a drive-by shooting in Harlem. Have you ever wondered how rich Big L was, at the time of his death? According to authoritative sources, it has been estimated that his net worth was as high as $1 million, earned through his successful career in the music industry active throughout the ‘90s. Big L had a tough childhood, with his father, Charles Davis leaving L and his mother soon after L’s birth. His mother remarried and gave birth to two sons, Donald, and Leroy Phinazee who died in 2002. His career beginnings trace back to 1986 when he started freestyling in Harlem, and four years later started his first rap group, consisting of Doc Reem, Rodney and himself, but which didn’t last long. As early as 1992, his career became professional as he worked with Lord Finesse on his album “Return of the Funky Man”, particularly on the song “Yes You May”. After several years of struggling, Big L signed a contract with Columbia Records in 1993 and became a part of the hip-hop collective out of the Bronx, called Diggin’ in the Cates Crew, comprised of Lord Finesse, Fat Joe, Showbiz, A.G., Diamond D, O.C. and Buckwild. He started releasing his own material, including singles “Devil Son”, which he described as the first-ever horrorcore single, then “Clinic” and “Put It On”, before releasing his debut, and as it turned out only studio album “Lifestylez ov da Poor & Dangerous” in 1995. Though the album fared well, he was dropped from Columbia Records, mostly due to creative disagreements. 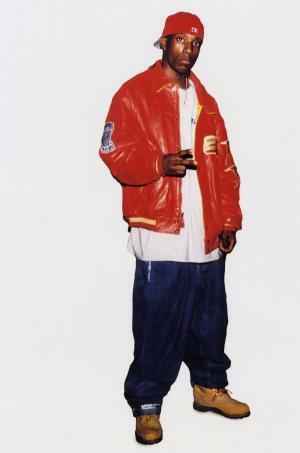 Before his premature death in 1999, Big L had numerous projects on his hands, including a second album “The Big Picture”, which was eventually released posthumously in 2000. He also started his own record label, Flamboyant Entertainment, releasing the extremely popular single, “Ebonics”, and became a part of the group called The Wolfpack, alongside Jay-Z, C-Town, and Herb McGruff. Unfortunately, it all came to an end on the 15th February; Gerard Woodley was later arrested but was controversially released, and this murder has remained unresolved until the present day. His body is buried at George Washington Memorial Park in Paramus, New Jersey. Years later, another posthumous album came out – “139 & Lenox” (2010) – mixed by Roc Raida, Hi-Tek and Buckwild. The same year, Big L’s brother Donald Phinazee released the “Return of the Devil’s Son”, another posthumous release followed – “The Danger Zone” (2011) – also compiled by Donald. When it comes to Big L’s life outside career, he kept his most intimate details hidden from the public eyes, therefore, no reliable information is available about him in the media. 1 There's a difference between confidence and being cocky, and I'm real confident, because I know what I'm capable of. 1 Lamont started his career in 1990, when he was in a group called Three the Hard Way, but he left because the other members didn't take it seriously. He later formed a group called Children of the Corn with a couple of emcees (Killa "Cam'Ron" Cam, Murda Mase, McGruff, and Bloodshed) from a local hip-hop crew called Caged Fury. 2 Had a deal with Jay Z and was about to sign with Roc-A-Fella with his friends McGruff and C-Town. The trio had plans to form a group called the Wolfpack. Its members were supposed to be McGruff, C-Town, L, and Jay-Z. However, L was murdered a couple of days before they were supposed to close the deal. 3 Worked on a second Columbia/SME album in 1996, after "Lifestylez ov da Poor & Dangerous." Three tracks ("Now or Never," "Hit It," and "Games Females Play") were released on the complication album "The Archives: 1996-2000." the album was never finished because L left Columbia/SME the same year. 4 Recorded a song called "Deadly Combination" with verses by Tupac Shakur and The Notorious B.I.G..
5 Recorded with Jay Z. 6 Big L started his career with fellow Harlemites Cam'ron, Mase, and Bloodshed. 7 Was a freestyle hip-hop emcee. 8 Recorded for Columbia/SME Records and Rawkus/MCA/Universal Records. 9 Was a member of the famed D.I.T.C. crew. Transporter 3 2008 writer: "Set It on Fire"
Big Little Lies will return with second season in June but will it be its last?